In April 1991 we opened our doors at Stonehaus Winery and eagerly invited our first customers to experience southern wines at their very best. Although this is when the “Stonehaus chapter” started, this was far from the beginning. Stonehaus was steeped in tradition and history well before we starting producing wines here. Stonehaus’s winemaker and visionary is Mr. Fay Wheeler. Many consider Fay to be “the grandfather of Tennessee wine”. He was instrumental in getting the Wine and Grape Act enacted in 1977. This Act permitted a winery to open in any county, wet or dry, providing the grapes were grown in Tennessee (the rule then was 100% of Tennessee grown, but has since been amended to 75%). 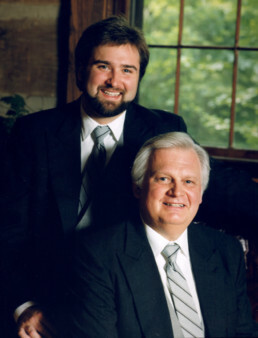 In 1979, Fay and his wife Kathy and Mr. Robert R. Ramsey and his wife Belle (the current owners of Stonehaus Winery) made Tennessee wine history by starting the first licensed winery in Tennessee, which also happened to be in a “dry” county. Fay and Kathy operated Highland Manor in Jamestown until 1989. Highland Manor was sold and the Wheeler’s and Ramsey’s collaborated with long-time friends, Dr. Lloyd Hassler and Jamie McGuire to open Stonehaus Winery. When we opened our doors, we offered five wines produced from the first crush of twenty-five tons of Tennessee grapes yielding 3,300 gallons of juice. All wines were sold on site. The wine production in the early years was very much a manual process with little automation. The grapes were crushed on site in a 3-ton per hour crusher de-stemmer. The grapes were then pressed with 1,500 pound capacity basket presses. Additionally, the wines were bottled by hand. Over the years, we have seen many changes in our operations. Somewhere around 2005 it became evident we needed to make some changes, as it became increasingly difficult to continue our early processes and keep up with the increased demand for our wines. Specifically, we found a great need to add space for more tanks for wine production and wine storage. In 2005 we added a 4,000 sq/ft addition (this would be our 5th addition since our initial opening). Additionally, we needed to be able to bottle more wine at a time than our bottling process would accommodate. As a result, we added an automated bottling line. In 2006 we purchased aGAI 2505 TOP / GAI 6060 bottling line made in Italy. This bottling line allowed us to bottle up to 3,000 bottles of wine per hour. This has vastly improved our efficiency in the bottle process. Cumberland Plateau Events – To find out about upcoming events in the area, please visit the Cumberland County Chamber of Commerce at www.crossville-chamber.com or call their office at 1-877-GOLFTN1 (465-3861). It was his early family life in Jamestown introducing Fay Wheeler to vineyards, and one of its tasty by-products – wine. “My father grew lots of grapes and after my mother used all she needed for juice and jelly, some would accidentally turn into wine,” Fay said. While pursuing a career as an Air Force intelligence officer, Wheeler was stationed in Europe for well over a decade where wine was as common as Coke in this country. It was during those years his passion for wine grew. It was also during those years he meet a young Scottish lady named Kathy who worked for the British Civil Service and would become his bride. “We spent our last two years in the Air Force in Europe on Crete,” he said, adding that of all the places he could choose to live, it would be that beautiful Greek island. After retiring from the Air Force, he returned to his native community of Jamestown, Tennessee and embarked on a second career. However, when the Tennessee State Legislature voted in the Grape and Wine Act in 1977 permitting the production and sell of wine at retail, Wheeler began pursuing his interest in making wine. “The hitch was that all of the grapes had to be grown in Tennessee. Of course, at that time, we were talking about very few grapes” he said, noting the main reason for new law was to encourage more grape growing in the state. Fay planted the first commercial wine grape vineyard which included Native American and European varieties. “It takes a minimum of three years before new grapevines are ready to start producing grapes,” Fay said. “I had very little experience, but I planted eight acres of grapes and went into the business.” Over the years, Fay has assisted over 25 wineries and vineyards starting the same adventure he began in 1977 helping the industry grow and prosper. 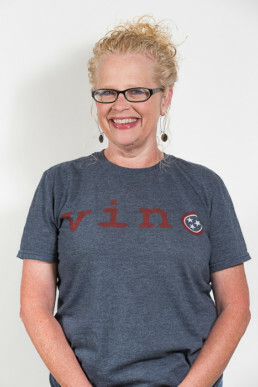 Fay arguably pioneered the Tennessee wine making industry, and subsequently he has also become very active in state, national, and international wine and grape organizations. He became a Master Knight in the Brotherhood of the Knights of the Vine in 1985, headquartered in California. He has served as the Grand Marshal on the Grand Council of Le Croix De La Bourgogne (The Cross of Burgundy), headquartered in Dijon, France. He is one of only four Americans who have ever served as a Grand Council member in this 14th century order. 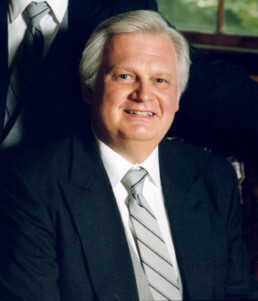 He is an active supporter of the University of Tennessee and has served several years on an advisory board, and chaired a scholarship committee. He was also recognized in 2000 by a federal/state agricultural program for the development of value-added agriculture (grapes and wine) in Tennessee. He served as President of the Tennessee Grape and Wine Society in 1989 and was on the Board of Directors for over a decade. 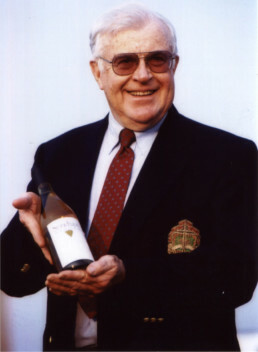 In 1990 he was awarded the prestigious “Homer Blitch” trophy for outstanding services toward the goals of the Tennessee Grape and Wine Society. Fay has seen much success in his wine making career. He has produced wines and champagnes that have won international gold medals. Additionally, he has served as a wine judge at various national and international competitions; and organized and judged numerous amateur wine competition events. Bob has been fascinated with wine since childhood. By the age of nine he was helping his Grandpa Ramsey tend to their Concord grapes, making wine, and even consuming the wine — so long as Grandma didn’t know about it. Grandpa’s primary focus was on sweet red wine, but occasionally they made blackberry, and on one occasion made some rhubarb wine, which was not to their liking. In college while becoming certified to teach Biology, Chemistry, and General Science, Bob’s interest in the fermentation process was renewed. This was reinforced when he became of legal age and discovered that wine was indeed one of the very special “simple pleasures of life”. After a brief stint as an Army officer in the Medical Service Corp. and four years of night law school, Bob returned to his home in Fentress County to practice law. It was then in 1975 that he had the great fortune and pleasure of meeting Fay and Kathy Wheeler. While sharing mutual stories of their early family experiences with grapes, wine and some homemade corn spirits, they began discussing Fay’s interest in staring a winery. Fay and his friend Judge William O. Beach of Clarksville, TN began serious discussions of how this could be accomplished. Over the next couple of years Fay and Judge Beach and a few others spent hundreds of hours formulating a proposed law to encourage grape-growing and commercial winemaking in Tennessee. Bob played a minor role with some of the State and Federal legalities and the establishment of vital legislative contacts. The law came to pass in 1977 as the Tennessee Wine and Grape Act, which permitted the establishment of wineries in Tennessee, even in “dry” counties. The efforts of Fay and Judge Beach literally enabled what has become a thriving industry for commercial vineyards and wineries in Tennessee. Hence, Fay is known as the “Grandfather of Tennessee Wineries”. Fay gives Bob credit for “keeping them out of jail” so that making, selling and the enjoyment of wine would be a lawful enterprise. Bob and Belle were high school sweethearts and have been married for more than 51 years. They have two fabulous children who are also owners in Stonehaus Winery and four wonderful grandchildren who may someday be interested in carrying on the winery tradition. They also consider the Stonehaus employees to be a part of their family and several of them have been with Stonehaus for many years. Belle has been involved in the day-to-day operations of the winery since the inception. Belle has done everything here from making the fudge, bottling and labeling the wine, working behind the bar in the tasting room, determining the product lines we carry in the gift shop, to working with the rest of the family managing the overall business. Belle is currently responsible for the management of the retail operations of the winery and gift shop, and the business office functions. Pretty much if you need to know anything about anything at Stonehaus Winery and Gift Shop, just ask “Ms. Belle”, as she is often fondly referred. Prior to the last 26 years Belle has been at the winery, she garnered a great deal of business and financial experience which has proven very beneficial to the winery. 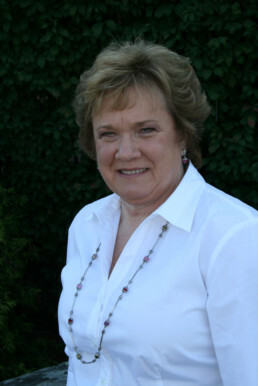 In the years before Stonehaus Winery opened, she operated her own flower shop, provided bookkeeping and tax services, and co-owned and operated a cable company. In addition to all of her entrepreneurial experiences and passion for her work at the winery, she would emphatically tell anyone her favorite roles are that of grandmother to Jake, Darrah, Robert, and David; mother to Rob and Kim; and wife to her high school sweet heart Bob. 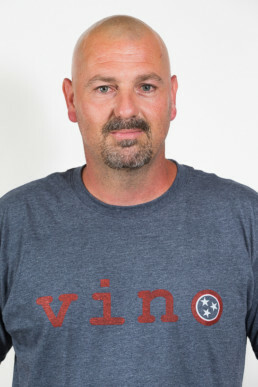 Rob Ramsey has been around Tennessee wine for most of his life. Rob’s mom Belle and dad Bob Ramsey and Mr. Fay Wheeler and his wife Kathy started Highland Manor Winery, the first licensed winery in the state of Tennessee, in 1980. Fay and Bob started laying the frame work for this in 1977 (Rob was 8 years old at the time.) Fay and his wife Kathy ran Highland Manor for 10 years. When Fay and Kathy, Bob and Belle, Dr. Lloyd Hassler, and Martin and Jamie Clark opened Stonehaus Winery in 1990 Rob was in school at Tennessee Tech. Rob was hired to work there part-time while in school. He worked at the tasting bar, gift shop, on the crush pad, mowed the grass, and helped bottle wine. Funny as it sounds, Rob’s first entrepreneurial contribution to Stonehaus was pitching the owners on the idea of adding home-made fudge to the gift shop. He served as the first fudge maker at Stonehaus gift shop and the fudge was a hit from the start. The idea paid for itself in a very short period of time and Stonehaus now sells around 4,000 pounds of home-made fudge each year! After graduating from Tennessee Tech (with a BS and MA in Psychology) he was hired by Mr. Lyndon Rains in Jamestown to work as a Producer for The Rains Agency in Crossville. Rob worked for The Rains Agency for five years. It was a wonderful job, but Rob just was not happy selling insurance. About that same time, Dr. Lloyd Hassler (then President and CEO) of Stonehaus was looking for someone to help with the computer work at Stonehaus and someone to spearhead distribution sales in the wholesale market. Rob jumped at the chance! In addition to his distribution duties, he has been actively involved in the acquisition of new automated equipment and redesigning the branding (labels, promotional materials, audio/video/ and electronic media, etc) of the winery. He has also spent hundreds of hours of grass roots political work for the winery, and the wine industry of Tennessee, at the state and national level. He serves currently as the Tennessee delicate of WineAmerica. Rob married Jane Darrah, daughter of Dr. David and Marsha Darrah of Smithville, on July 14th, 1996. Rob and Jane have two beautiful children, Jake and Darrah, who are spoiled mercilessly by their grandparents! 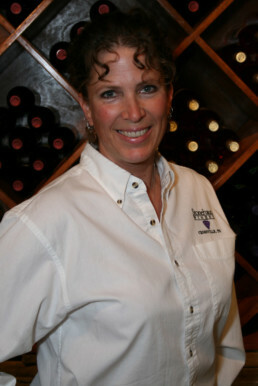 Kim is the most recent of the “Ramsey” family to join the winery in May 2009. 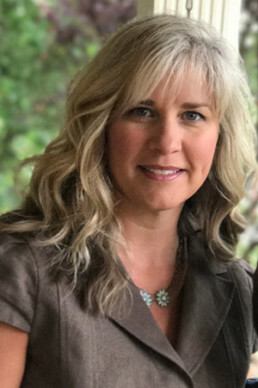 Prior to her involvement with the family business, Kim, a CPA, spent a couple of years working as a healthcare auditor for Ernst & Young in Nashville and then twelve years as an internal auditor for HCA Healthcare also in Nashville. Although Kim enjoyed her “former life as an auditor”, she loves being part of the family business. As Kim has said, “As a general rule, people are not excited to see an auditor walk into their facility; however, they are almost always happy to experience tasting our wines and all we offer here the winery.”. Therefore, working here is great learning experience plus a whole lot of fun for Kim! Belle (the “main boss” as all her grandkids like to call her) has taken Kim under her wings to show her the ropes of a winery operation and continues to mentor Kim every day. 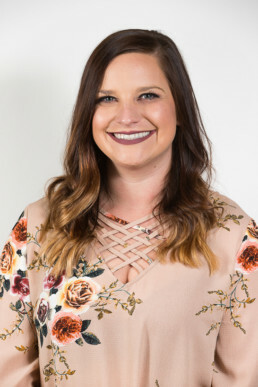 She assists her Mom in the business office functions, is responsible for maintaining merchandise inventory, and wine production reporting, as well as, day to day management functions. When not at the winery, Kim is spending time with her two boys, Robert and David, doing all things boys love doing! A native Tennessean, Jan Nix began working at Stonehaus seventeen years ago. It was August of ’93 when she applied for and secured a job working in the winery at the tasting bar. Originally she took the job as a part-time departure from the relative solitude of her full-time job of water plant operator for the City of Crossville. She was well suited for the tasting bar, enjoying the fast-paced days and customer interaction. One of the highlights of the bar days was when Fay would, in lull moments, conduct one of his ‘special’ tastings. For those unfamiliar with the name, Fay Wheeler was a driving force in the genesis of the Tennessee wine industry and he is a veritable font of oenological information. He encouraged and fostered Jan’s already keen, interest in wine. He introduced her to a global buffet of varietals and blends and regaled her with tales of his viticultural ‘adventures’ abroad. Aside from wine, Jan also has a passion for travel, the “pursuit of happiness for canines everywhere,” and the never ending chore that is yard work. Amanda started working here in the summer of 2010 as a college student. She worked full time while attending Tennessee Technological University where she received a BS degree in Food, Nutrition, and Dietetics. She has worked in almost every aspect of the winery, from the tasting bar to the bottling line, wine festivals, making fudge, and much more. She is currently the manager of both our Wine Club and Gift Shop. She also oversees all of our social media accounts. Amanda is very creative, talented and brings a lot of fun to our social media and many events she organizes! Gina began working at Stonehaus Winery almost 20 years ago! There is very little she has not been involved with at some point in the last couple of decades, and is as much a part of the history of our winery as any member of our Stonehaus family. Gina not only manages the tasting room but is also involved in the bottling and goes to all of the wine festivals we attend. She enjoys cooking and baking, as well. She often uses her talents preparing horderves and baked goodies for our special events. Gina says, “I enjoy the many facets of my work and am fond of all of our wines, however, my personal favorite right now is the TGA Blanc. It is a dry white wine with hints of lemongrass”. Robert is another long-time member of our family. Robert starting working at our tasting bar in 2004. He came here after moving from California where he had been working in a large bulk production winery since he was 16 years old. Comparing the two, Robert said, “I enjoy working here better than where I began my career. We are more hands-on and we put a lot of care into it.” Robert has been our Cellar Master for quite some time. He works closely with Jan, our Wine Master, in the production of all wines from start to finish. He is also responsible for overseeing the bottling, shipping, and receiving processes.